1. What is currently on your wish list? I am super-organised when it co mes to this. I keep one on Amazon. It is quite diverse, ranging from books to garden stuff, from desk tidies to cosmetics. The last app I downloaded was on my iPad for Bitstrips. This is a Facebook app which like so many has branched out to iOS and GooglePlay. You make little cartoons and status updates starring you and your friends. It isn't universally liked though as this article from the Huffington Post indicates. 3. What is a new fall tv show that you have added to your dvr? Oh the 2013 Freshman class! Usually by four or five shows in I've dumped half the new shows... but this set seem to be pretty cool. 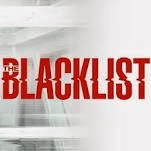 I think my far out favourite (at the moment) is James Spader and the fabulous The Blacklist. There is a lot of new comedy which is actually funny, and in addition there are lots of returning shows which still continue to amuse and surprise. Favourite - probably Twitter. I have made loads of friends (and friends I knew already and Husband also use it) so there is always something to talk about. Facebook is probably a close second as lots of my friends who live far away and my family use it. I'm a pretty regular of all of the above you will see!! TV Show:- do I have to pick just one?! There are so many. For all time comfort 'eating' TV I think I'll pick 'The Simpsons' although 'Friends' comes a close second. There are literally dozens of shows that could join that pair though! Movie:- 'Gone with Wind' (favourite movie of all time)... joined by 'Clue' which I think is fabulous. Song:- again there are heaps and heaps. Right now it is 'What a Wonderful World' which was our first dance at our wedding. I'm also massively fond of 'quirky' songs:- 'Ca plane pour moi', 'Ghost Town', 'They're coming to take me away', 'Coin Operated Boy', 'Drowning in Berlin', 'The Eyes Have It' and the Scottish Football World Cup Team with 'We have a dream'... to name but a handful. I'll also listen to The Beatles, David Bowie and the Rolling Stones for hours.